Ladies - do you know about the latest car safety features? Women are regarded in the insurance industry as ‘’safer” drivers and less likely to be in a road accident. Even though all motorists need to be alert and cautious, female drivers unfortunately have to be even more vigilant in order to avoid falling prey to criminal acts such as hijacking, intimidation, sexual assault or worse. Our women drivers are still regarded as more vulnerable by most criminals, even in this day and age. Many of the new cars coming onto the market have enhanced driving features which makes driving alone or with children a little more pleasant and less of a worry. Equally this article will be useful for all motorists! Cars now have never been so intuitive with the introduction of Lane Departure Alert (LDA), Road Sign Assist (RSA) and Automatic High Beam (AHB). Vehicles equipped with a millimetre-wave radar further benefit from Adaptive Cruise Control (ACC) and PCS with a pedestrian detection function. Some cars also come with E-call - an fantastic system which means that the airbag sensors register an accident, alerting the car to make a 999 call (E-call).The Emergency services call centre receives the call and the exact location of the vehicle, prompting an operator call to the vehicle to get more information. If there is no response from the vehicle, emergency services are sent immediately. Lane Departure Alert (LDA) - this recognises when lanes are crossed and alerts the driver. Upgraded versions such as the Toyota Safety Sense will recognise the road edge on straight roads without lane markings. Road Sign Assist (RSA) - helps people understand road signs and are alerted to them. Automatic High Beam (AHB) - the LED array improves the visibility by using a camera to detect vehicles in front and oncoming vehicles, switching the headlamp light distribution. Adaptive Cruise Control (ACC) - automatically adjusts the vehicle speed to maintain a safe distance from vehicles ahead. Control is based on sensor information from on-board sensors. Updated 2019 versions enable smoother overtaking and give a wider detection angle. 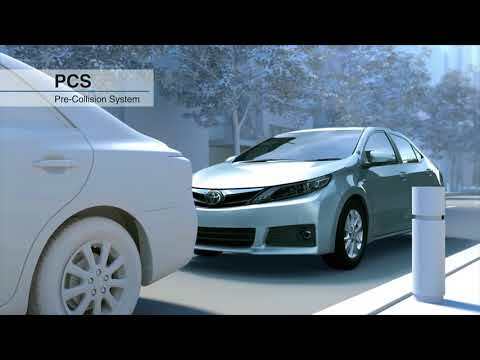 Pre-Collision System(PCS) - uses radar to detect vehicles. If it detects a pending crash, the system alerts drivers to brake. Once the driver applies the brakes, the Pre-Collision System helps by increasing brake power. New upgraded systems in some vehicles like Toyota’s range include pedestrian daytime and nighttime detection and cyclist daytime detection. Your budget and your lifestyle needs should no longer just determine what type of car you’ll want to purchase. 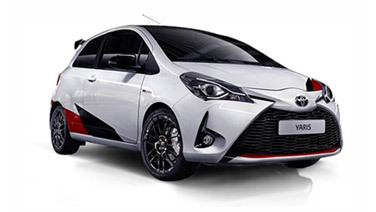 What’s important is that Toyota are taking safety seriously and have put driver and passenger safety as their main priority, so make safety a reason for choosing a car and choose Toyota.